Welcome home to The LA Family, where we love and support each other through learning and applying God’s word daily. You might be wondering why LA? LA simply means Learning and Applying God’s word. To encourage one more person to love God’s word, using social media. To create a loving and supportive environment that makes the study and application of God’s word very simple and demonstrates the power of fellowship beyond four-walls. – We study God’s word daily using our EASY-TO-FOLLOW reading program. We are currently reading through the New Testament using the #LAFruits Bible reading plan. – We share what we learn via Facebook (FB), BBM, WhatsApp and Twitter. – We support and check on one another using Team units via our online fellowship groups – FB Buddy, BBM and WhatsApp groups or Twitter teams. – We provide a range of resources to support our learning and application. LAindepth – In-depth study of spiritual principles. – We take our online fellowship offline and meet-up in our various global communities. – We also organize LA conferences where we simply read the Bible aloud and share what we learn. So what are you waiting for? Click here to find the best platform that suits you. We are waiting to welcome you home! 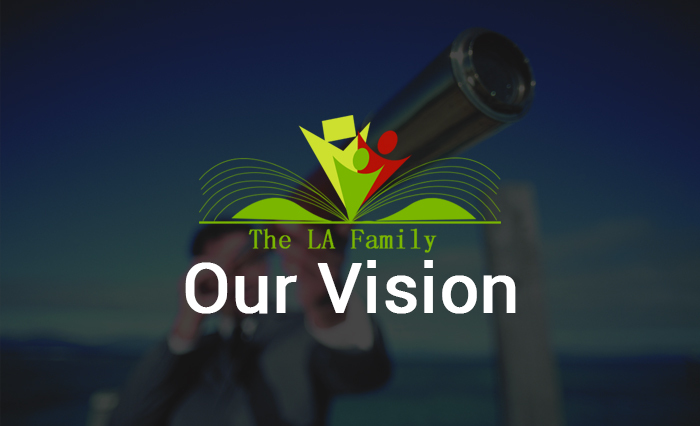 The LA Family Admin Team.